CountyLine Heavy-Duty Disc, 7 ft. 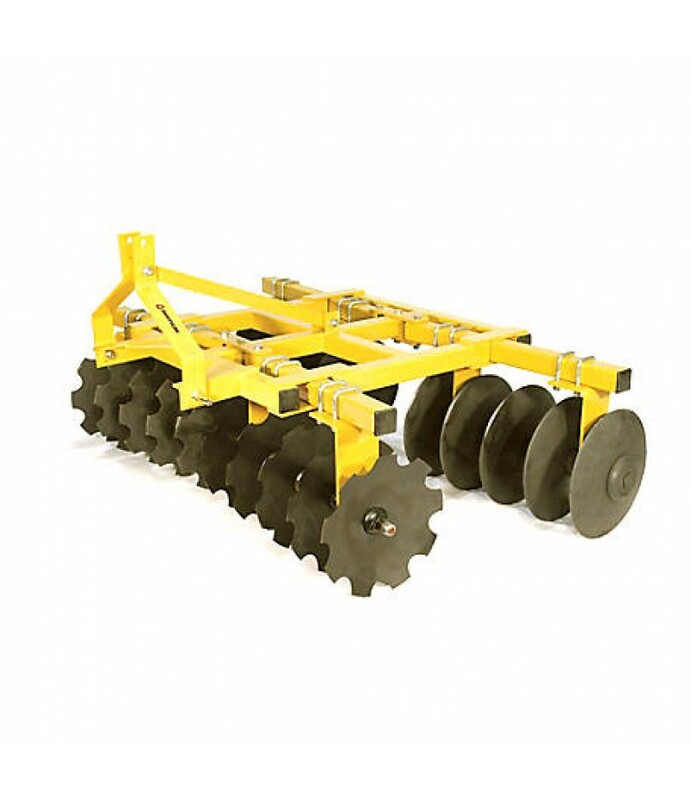 The CountyLine Heavy-Duty Disc is a 3-point rear attach tillage disc used to prepare soil for planting.Heavy-duty box frameFront and rear disc gangs have adjustable angles and together they cut a 7 ft. swath with each passCategory.. The CountyLine Heavy-Duty Disc is a 3-point rear attach tillage disc used to prepare soil for planting.